Every October, Cara’s family struggles through the accident season. The world becomes more dangerous. Their bones become more breakable. And sometimes there are deaths. Can this all be just accidents? 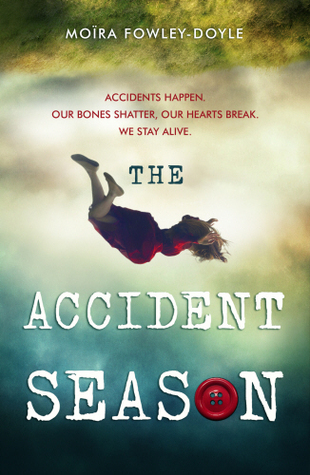 In this mysterious debut, The Accident Season by Moria Fowley Doyle will have you turning pages like never before. The book wasn't what I was expected. I thought I was going into a story about witches or ghosts and we didn't get much of either. The Accident Season is set in Ireland, a fact I wouldn’t have noticed unless I looked up some of the town names dropped. In settings such as Ireland, I expect to be wowed by descriptions of gorgeous scenery and beautiful backdrops but besides the random mention of towns, readers would never know. It is a missed opportunity, to be sure. The Accident Season was strange. I didn’t love it but the fast pacing drew me in to the story. And the farther I got into the story, the more original and unique it got which made it difficult to put my thoughts in order for this review. Cara, the protagonist, was a fantastic character. 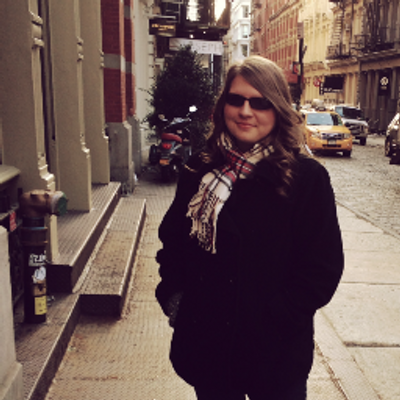 I enjoyed getting inside her head, seeing things from her perspective. Despite the spooky factor of the book, Cara remained levelheaded—looking at things from multiple angles. It allowed readers to come to conclusions on their own. The relationship that Cara had with her ex-stepbrother was most evident from the start. There didn't seem to be any build to the romance since they were so close to begin with. It would have been nice to get a little more scenes where their relationship started to develop from the start through a series of flashbacks, perhaps. This is most definitely falling prey to the falling in love with your best friend cliché. However, quite frankly, I thought the relationship was very peculiar. On the one hand, you had Cara who insisted that they were definitely not brother and sister. But then you had Sam who made sure everyone knew Cara was his sister, despite having feelings for her. It made it really strange to see them as anything other than brother-sister especially since they seemed to have such a close, platonic relationship to begin with. In The Accident Season, there are way more questions than there are answers. While reading, several things were left unexplained. It was a bit infuriating; especially since the big reveal, the accident season itself isn’t fully understood. While the end wraps everything up, it sure is one very messy wrap-job. The execution seems unorganized with so many elements going on. The book concludes with "everything's connected, so there" which seems like a cop out. Please, give me more answers than that. It’s one of those books that would be difficult to explain to people because there are so many elements to the story. I wouldn’t know where to start first. The Accident Season came across as unorganized as if there wasn't a true main goal. What were these characters working towards anyway? The Accident Season by Moria Fowley Doyle is a fast paced mystery with a disorganized structure and an unexpected story. The protagonist’s narrative is superb and the spooky theming is absolutely perfect for autumn. 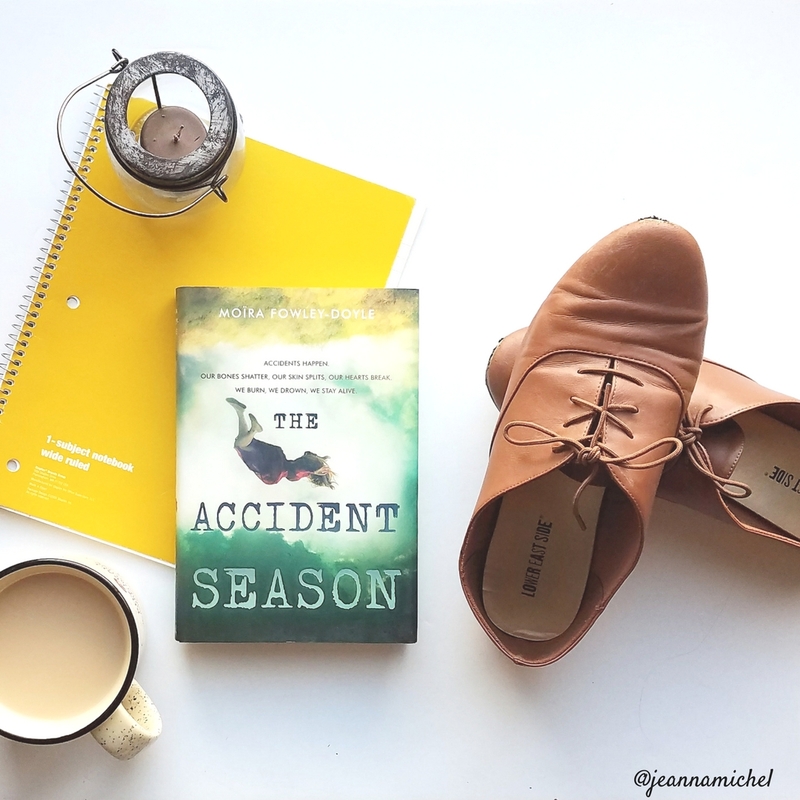 However, The Accident Season was just not the book for me, leaving me with several unanswered questions.